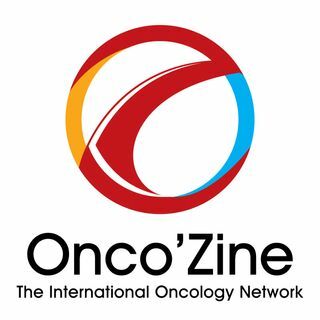 In this edition of The Onco’Zine Brief Peter Hofland and Sonia Portillo are talking with Elizabeth M. Jaffee, MD, the 2018 - 2019 president of the American Association​ for Cancer Research (AACR). Dr. Jaffee’s, who's research is focused on the development of immune based therapies for pancreatic and breast cancers, is the deputy director of the Sidney Kimmel Comprehensive Cancer Center at Johns Hopkins in Baltimore. She is also the leader of the Stand Up To Cancer (SU2C)-Lustgarten ... See More Foundation Dream Team: Transforming Pancreatic Cancer to a Treatable Disease. In their interview, recorded during the annual meeting of the AACR, held April 14-18th, 2018 in Chicago, Illinois, Hofland and Portillo asked Dr. Jaffee about her work, her expectations and her plans as the current president of the AACR. They also asked her about the importance of clinical trials and patient participation in these trials as being a key step towards progress in oncology. Today only about 5% of cancer patients are expected to participate in a trial. The fact that only a limited number of patients participate in a clinical trial, goes beyond the (un)willingness of patients to participate, but has a lot to do with the fact that most patients have to travel to the nation’s major research hospitals in order to participate. Another concern is that many patients may not realize that when they participate in a clinical trial, they will get that same level of care that they would with cancer treatments outside of a trial. Hence, Dr. Jaffee emphasizes that it is not only important to make sure that patients understand the difference between medical treatment and clinical research, but that it is also crucial to improve accessibility to clinical trials.